The New England Patriots Pat Patriot Flag Pole and Bracket Kit includes our 3' x 5' flag as shown, 6' aluminum spinning flagpole, and aluminum adjustable flag bracket. The flagpole and bracket are the recommended accessories to fly this quality 3x5 foot flag. 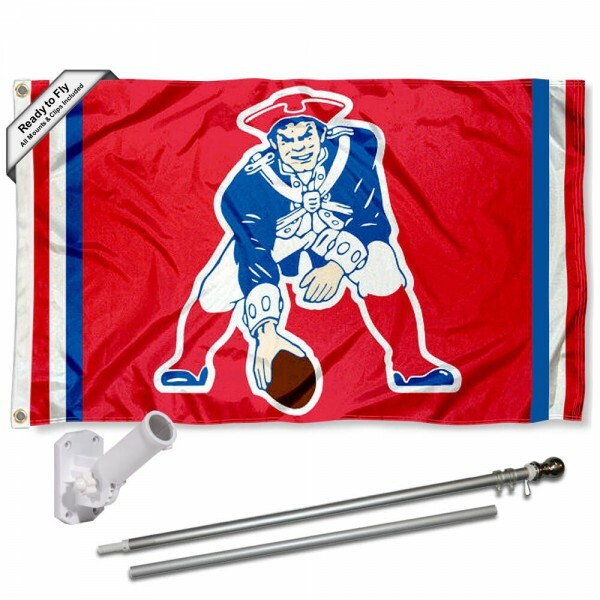 This New England Patriots Pat Patriot Flag Pole and Bracket Kit is a perfect gift for any sports fan! It's ready to install and fly with all hardware included.